In the 1980s and 1990s it was a dream for many fans of action movies to see Arnold Schwarzenegger and Sylvester Stallone star in the same film. But after years of it never happening, Schwarzenegger popped in for a brief cameo in Stallone’s 2010 film The Expendables. For the upcoming sequel, Schwarzenegger agreed to appearing in a larger role, and following that the two will co-star in The Tomb. During an interview to promote an upcoming ESPN documentary short about his years in the Austrian army titled Arnold’s Blueprint, Schwarzenegger spoke about why the real-life friends are working together so often now. 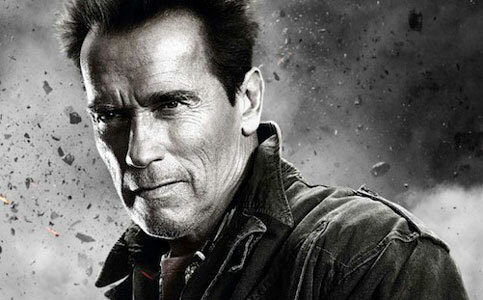 Schwarzenegger revealed that there were several reasons why the two action movie icons never did a film together before they were both in their sixties. He said, “There was always something off. The script was not right, or the studio was not as much interested in it as we were. … It just didn’t happen. Then one day I was sitting at my hairdresser, and Sly came up to me and he said ‘oh man, it would be so great if you could be doing just a little bit of something in my Expendables movie.” His Expendables cameo was then shot in one day, and the excitement that came out of that appearance has led to to the following collaborations.